Parents are invited to attend the class finale to see the progress of their young adults, and to dance with their son/daughter at the Family Show Party. Parents are required to walk their 5th-8th grade son/daughter to the Banquet Room door for check-in and personally pick up for check-out at the end of class. Parents are asked to sign up to participate in the Chaperone Receiving Line once during the 7-class course. 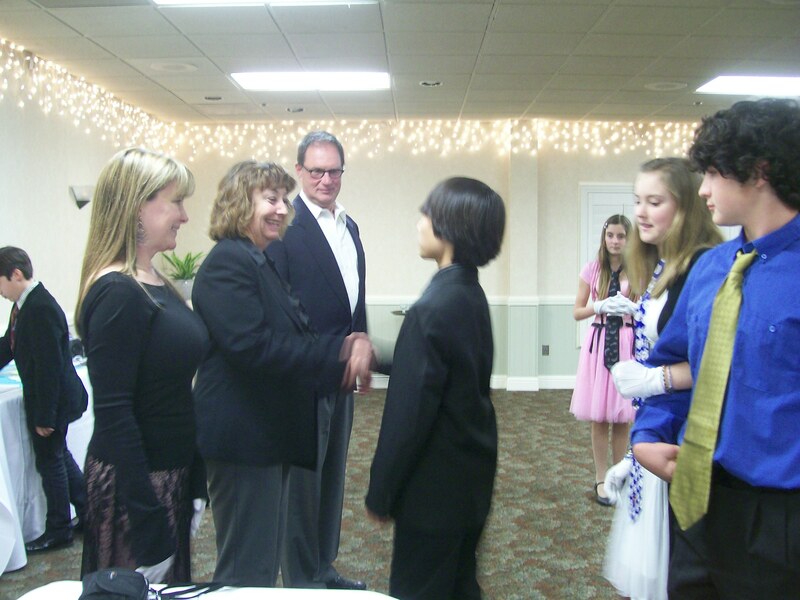 Parents will form the receiving line and greet the students as they enter and leave the banquet room. Greeting students takes a few minutes. Parents receive a dinner discount while their child is in Cotillion. The students introduce themselves to the adults with friendly eye contact, handshakes, clear speaking voice and a smile! Throughout the class time, students change partners in the dance circle, greeting & introducing themselves to one another. 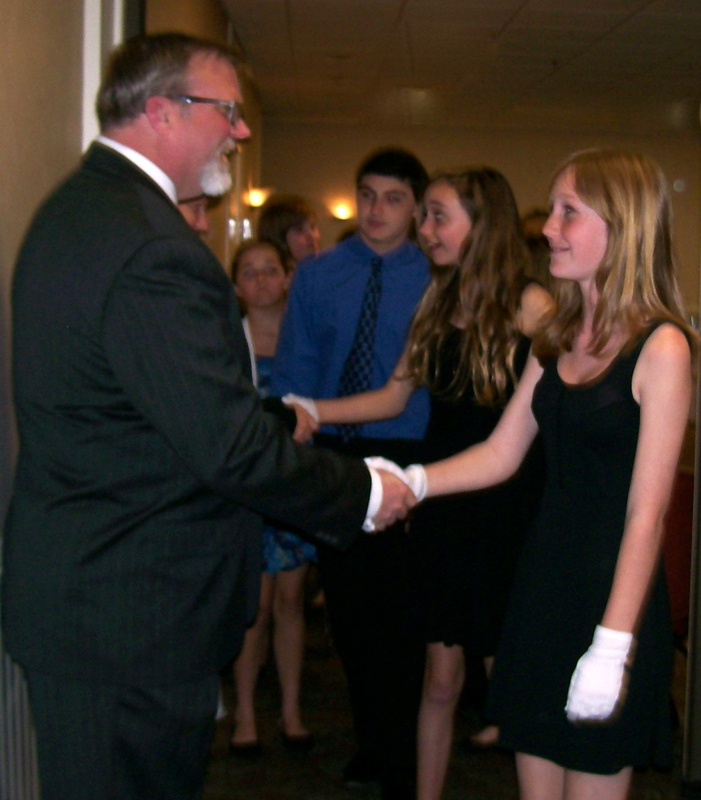 Students build confidence with a handshake, eye contact, and smile in Greetings & Introductions! 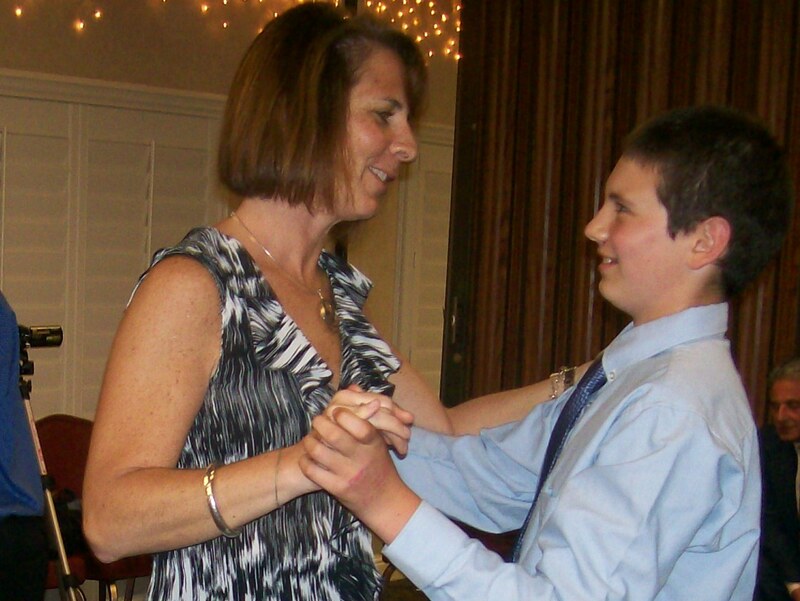 Mother-Son Waltz at the 2011 Family Show Party!